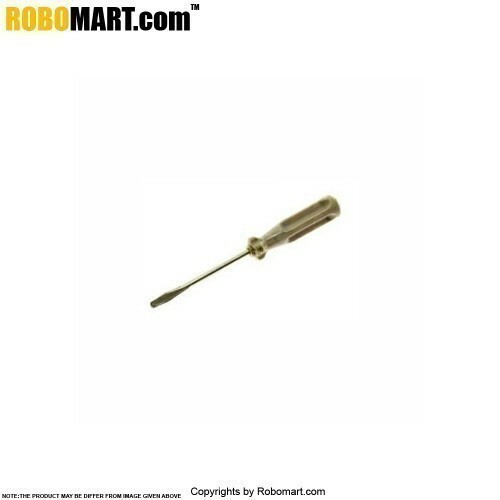 A screwdriver is a tool, manual or powered, for turning (driving or removing) screws. 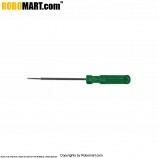 A typical simple screwdriver has a handle and a shaft, and a tip that the user inserts into the screw head to turn it. 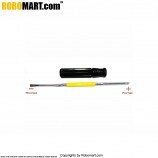 The shaft is usually made of tough steel to resist bending or twisting. Ergonomic handle design greatly reduces pain and discomfort associated with repetitive tasks. 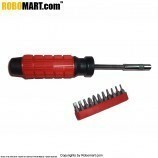 Non-slip grip generates maximum torque even when wet or oily. To assemble or de-assemble Robotics Kits. 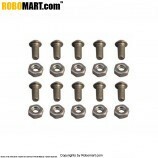 To assemble Electrical or Electronic projects. 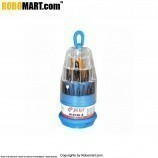 Also Searched as : screwdriver tool kit, screwdriver tool set, best multi tool screwdriver, screwdriver tool kit online, screwdriver and other tools, online tools in India.